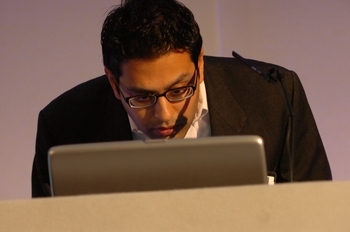 This week's offering - Salim Mitha, director of Yahoo! Search in the UK & Ireland, at this week's Travolution@WTM at the ExCel centre in London. Leave your entries via the comments button below. if you look carefully you can just see Google in the distance.